» Office 365 or Google Apps - which one should you choose? When it comes to cloud-based productivity solutions for the workplace, the two most popular ones that spring to mind are Microsoft Office 365 and Google Apps for Business. So how does a business choose which works better? Google Apps and Microsoft Office 365 are both cloud solutions, (also known as Software-as-a-Service or SaaS), that provide a suite of productivity tools for spreadsheets, documents, presentations, email, and everything in between. - how mobile its team might be. Here is a quick look at how to decide between Google Apps or Office 365. Google Apps for business offers a cloud storage and productivity solution that is 100 per cent accessed through a web browser. This means that team members never need to install any additional software or plugins on to their computers. Documents and spreadsheets can also be shared and viewed by different team members, and the simple interface means this software has an easier learning curve for those who rarely work on complex documents and designs. Since just about any device with an up-to-date web browser can support a complete Google Apps experience, this productivity suite is more useful for teams that travel more without their laptops but want the full productivity experience. Since Google Apps are fully cloud based, users can expect more data security in that unlike traditional software, when a user is finished using any one of Google’s apps for work, minimal data is left on the machine that could be compromised. Microsoft’s Office 365 suite of software also offers businesses a robust software solution for better productivity. Though Office 365 still needs to be installed on a computer, the online version, Office 365 Business Essentials, allows businesses to work anywhere on the go and provides all the capabilities of a browser-based solution like Google Apps. 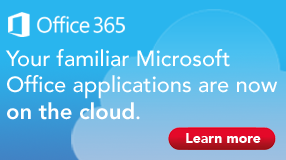 Office 365 is the cloud version of the already well-known Microsoft Office software suite for documents (Word), spreadsheets (Excel), presentations (PowerPoint), meetings, conferencing and more. Office 365 makes it easier for teams to sync content between computers, as well as enable collaborative editing and revisions. Office 365 also includes access to an ever-growing library of graphics and images to help add visuals to a business’s content. Ultimately, businesses looking to switch to either productivity suite ought to consider all present and future reasons decide on Google Apps or Office 365. Both will meet the everyday needs of most businesses, but choosing one over the other depends on realising the exceptional needs one may provide a team that the other cannot. Both Google Apps and Microsoft Office 365 offer plenty of collaborative capabilities. Presentations for example, can be done on Slides (Google Apps) and Powerpoint (Office 365), and instant messaging functions are both smoothly presented in the form of Google Hangouts or Microsoft Lync. Google Apps support most basic functions that are offered in Microsoft Office. Google Apps is therefore perfect for firms that require mobility, but do not need to deal with excessive data sets that are more complex. Functions of Microsoft Excel versus Google Sheets for example, are better formulated for businesses that work with complicated pivotcharts, huge amounts of data, mid to large scale analysis, statistics, or modelling that require more than 500,000 rows of data. Office 365 Business Essentials also offers web capabilities in the form of Office Online, in which Word, Excel, PowerPoint, and OneNote are available as web application, similar to Google Apps. A difference between these two solutions is that while users using Office 365 Business or Business Premium can work offline and automatically synchronise their work online later, Google Apps requires the use of their Chrome browser plugin or 3rd party solutions to edit files offline. Both OneDrive and Google Drive will synchronise any changes within files automatically when the users go online, making sure that your work is backed up safely and can be shared with your co-workers. In terms of storage, Google Apps offers unlimited cloud storage while Office 365 offers 1 terabyte of cloud storage. In conclusion, there is little difference in the features between both apps. The advantage of Microsoft Office 365 would be the familiarity of the interface that people are used to in the installed versions. 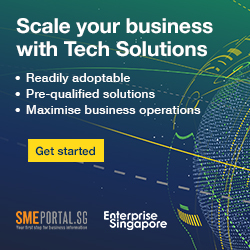 To find out more about how to acquire either of these productivity solutions, click here to learn more about Office 365 and here to learn more about Singtel ONEOffice.